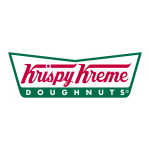 "We are proud to celebrate this joyous occasion with our partners at Lotteria Co. Ltd."
WINSTON-SALEM, N.C.--(BUSINESS WIRE)--Krispy Kreme (NYSE: KKD) advances its presence in Asia Pacific with the planned opening of its 100th store in Korea. The global sweet treat retailer’s Korea-based franchisee, Lotteria Co., Ltd., is scheduled to mark the milestone with a December 16, 2014 grand opening celebration for its fans. Located in Jeonju Jeonbuk, a city of rich history, the new 3,200 square foot (300 sq. 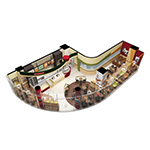 m) doughnut factory features indoor seating for 50 guests. The focal point of the store will be Krispy Kreme’s iconic Doughnut Theater® viewing area, where customers of all ages can enjoy watching the melt-in-your-mouth doughnut varieties being cooked, glazed, filled and topped in front of them anytime the Hot Doughnuts Now® sign is illuminated. 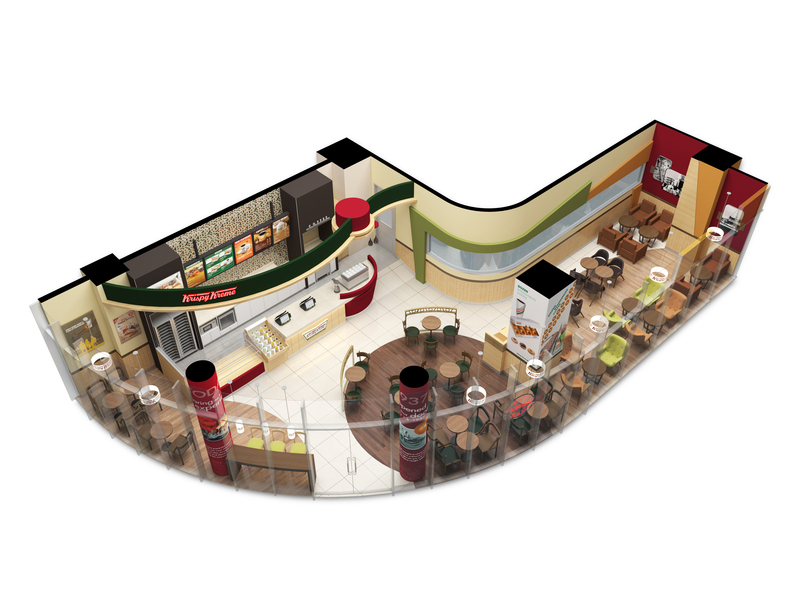 The new shop will offer an assortment of great tasting doughnut varieties, including Krispy Kreme’s signature Original Glazed® doughnut, and a wide range of coffees and beverages. Lotteria Co., Ltd is the licensed franchisee of Krispy Kreme Doughnut Corporation in South Korea. Lotteria Co., Ltd. was founded in 1979 and is a major food and beverage franchise company in Korea. Lotteria Co., Ltd operates five brands: Lotteria, the burger brand; Angel-in-us, the coffee brand; Natuur, the ice cream brand; TGIFridays and Krispy Kreme. Lotteria Co., Ltd. has more than 2,400 stores in Korea. Krispy Kreme is an international retailer of premium-quality sweet treats, including its signature Original Glazed® doughnut. Headquartered in Winston-Salem, N.C., the Company has offered the highest-quality doughnuts and great-tasting coffee since it was founded in 1937. Krispy Kreme is proud of its Fundraising program, which for decades has helped non-profit organizations raise millions of dollars in needed funds. Today, there are over 875 Krispy Kreme shops in more than 20 countries around the world. Visit us at www.KrispyKreme.com.